Here is a photo of a music band accompanying a funeral procession in Haiti, a New Orleans style funeral procession. In Haiti, the music band that accompanies the funeral is called the Fanfare. 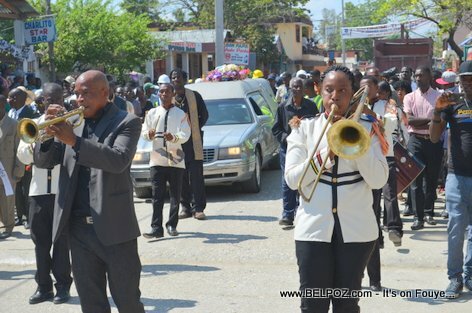 trumpets, trombones, drums, it is really a New Orleans style funeral procession in downtown Hinche Haiti.